Hand made snuggly warm furnishings and apparel. 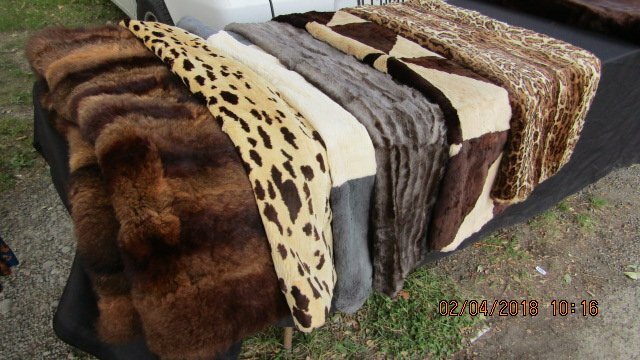 All items are made from genuine furs and include Rabbit and Possum blankets and cushions. I restyle a wide variety of Vintage furs into vests and gillets. I also offer a selection of Possum Merino Gloves and beautiful unique Reversible Rabbit fur hats to keep you super snuggly warm and stylish.